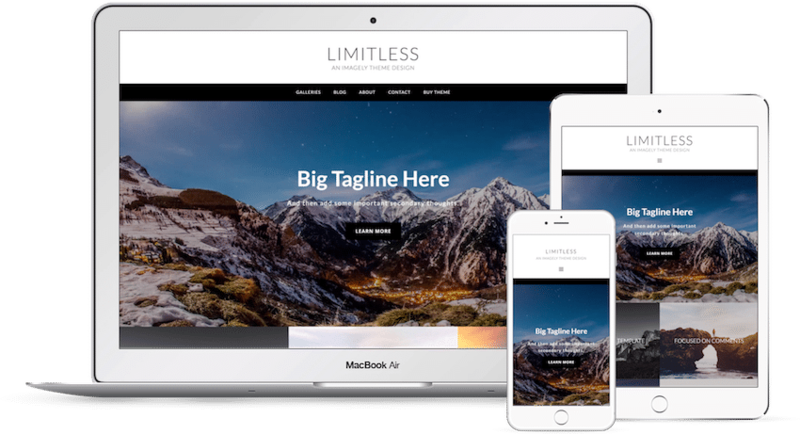 Limitless showcases a variety of content right from the start. It all starts with the video background, continues into a content grid of blog posts and finishes with featured widget areas with beautiful image backgrounds. Limitless is fully responsive so it looks incredible on all devices.